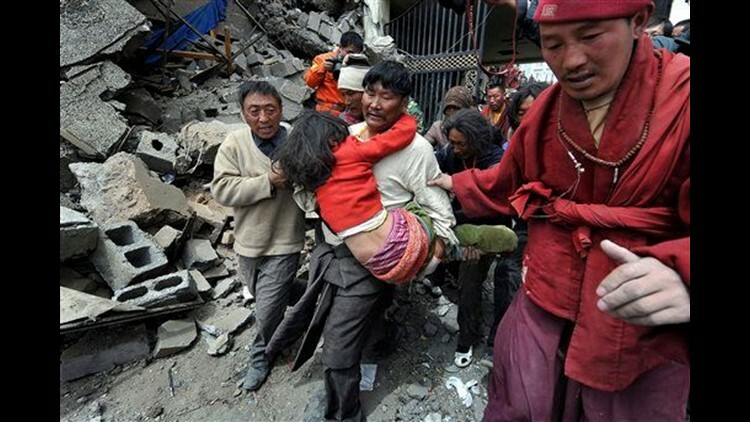 JIEGU, China (AP) — Tibetan monks in crimson robes dug through earthquake rubble alongside government rescue workers, a startling image for a Chinese region long strained by suspicion and unrest. The central government has poured in troops and equipment to this remote western region, but it is the influential Buddhist monks whom residents trust with their lives — and with their dead. As the death toll climbed to 1,144 late Friday, there was tension and some distrust over the government relief effort, with survivors scuffling over limited aid. Still, he said his aid group was relocating outside town in case things worsened.